With a dwindling handful of candidates vying to be leader of the free world, the United States is knee-deep in a muddy race toward the 2016 presidential election. A colorful cast of talking heads babbles from TV sets and news feeds, their sweet promises of tax cuts and reforms leaking into public consciousness like water from a busted pipe. It’s no news that politicians (or politician wannabes) from all parties have historically earned voters’ mistrust. It can be difficult for even the well-informed populace to grasp what’s in their best interest, and what’s a crock of baloney, spewed from the mouths of pandering puppets. It would take days to get into the nitty gritty of every candidate’s economic plans; for the sake of your time and mine, we’ll take a peek at each party’s top polling candidates, and what the experts have to say about their plans thus far. 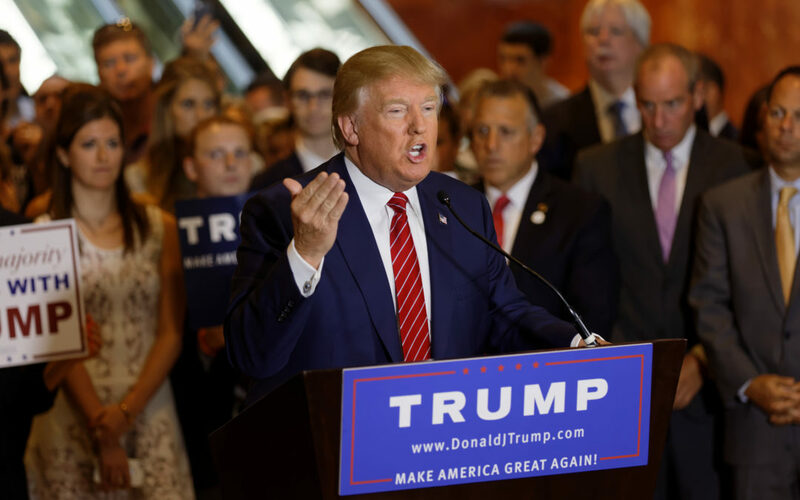 Republican frontrunner Donald Trump inspired emotions ranging from amusement to outrage. But is his tax plan as funny or outrageous as his traits and viewpoints? Trump has released a detailed plan that promises to consolidate tax brackets from seven to four, cut corporate income tax rates, and create a substantial zero bracket for lower income individuals. According to the Tax Foundation, Trump’s plan would, through lower marginal tax rates on individuals and lower capital costs, greatly increase the US economy’s size in the long run. 5.3 million jobs would be added and wages grown by 6.5 percent, but the federal government’s deficit would increase by $10 trillion. And that’s not including the cost of the alleged wall, should Mexico refuse to pay for it. Texas senator and designated driver Ted Cruz has released an ambitious tax plan, too — one that would enact a flat 10 percent tax on individual income and a 16 percent “business transfer tax” on payroll (essentially a sales tax). The Tax Foundation says that the plan would dramatically alter the federal tax code, and as a result incentivize work and investment, grow jobs by $4.9 million and the GDP by 13 percent in 10 years. Others say it would hit the middle class, lower class and elderly citizens especially hard. According to the Tax Foundation, divisive Democratic frontrunner Hillary Clinton would enact a number of tax policies that would raise taxes on individual and business income, raising revenue by $498 billion over the next decade. A majority of this would come from a cap on itemized deductions, the Buffet Rule, and a 4 percent surtax onf taxpayers with incomes of over $5 million. While Republicans operate on the assumption that cutting taxes will unleash growth for all, Clinton and other democrats focus on raising wages and offering tax relief to working families will lift people out of poverty and unlock new growth potential. Clinton has a fairly moderate economic viewpoint when it comes to the minimum wage, suggesting a gradual rise instead of a potentially destabilizing hike to $15, as her competitors have proposed. Clinton has advocated for middle-class tax credits, paid for by higher taxes on wealthier households, and several taxes meant to reign in Wall Street. Clinton has also proposed about $1 trillion in federal spending on initiatives addressing education, infrastructure, and family care. She’s stated that this won’t add to the deficit, but hasn’t detailed exactly how. Bernie Sanders may not have a Super Pac or a backpack, but what he does have is a fiery distaste for economic inequality that has progressives and young people rallying in droves. SNL parodied that Sanders is offering a “golden goose” to Clinton’s “chicken that will do,” and with promises of free education, universal healthcare, wage hikes and infrastructure repair, it’s easy to assume as much. Indeed, some have criticized Bernie’s proposals, which he says will all be paid for by taxing off-shore corporate profits, Wall Street, top earners, and closing various loopholes under the presumption that the system is rigged in favor of the billionaire class. The Wall Street Journal estimated Bernie’s domestic policy plan would cost $18 trillion over 10 years. As this estimate includes $15 trillion in universal healthcare (more of a reallocation than a cost), the actual figure may be closer to $3.4 trillion. At the end of the day, there is no candidate that won’t be spending a fair amount of money to enact the policies they think will be best for the country. As the rhetoric streams keep flowing in and out of eyes, ears and mouths of politicians and their spokespeople, it’s our responsibility not to drown in the overflow, but do our research and vote for who we believe is in ours and the nation’s best interest. Photo: Michael Vadon via Flickr.